This entry was posted on Wednesday, June 10th, 2009 at 8:56 pm and is filed under Uncategorized. You can follow any responses to this entry through the RSS 2.0 feed. You can leave a response, or trackback from your own site. I do not see the config images you display. Then, after I “make,” I get an error swiotlb_bus_to_phys undefined reference. Any ideas? Thanks for the help. It seems that my linux version is 2.6.29.4, would that cause a problem? I still cannot see the “xen” configuration menu that you show screen shots of. I compared your conf file and mine, and I adapted your settings when appropriate, but they differ significantly. I am somewhat confused by the kernel line in your grub.conf: xen-3.4.gz <– is this the same as vmlinuz-2.6.29-xen-r4 ? I have been following your guide and that kinda came from nowhere. 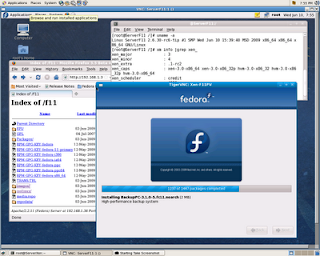 I am following this on a 32bit version of Fedora Release 11. Please help! thanks for clearing that up, for some reason make install did not copy that over to /boot. Weird eh? I copied it over and I can boot from grub, but got a new problem, the boot chokes on a stack trace of some sort, and i cannot scroll up to see where it started from. 😦 I know that is a little vague (ok it is REALLY vague), should I wait a week or so for the sources to get updated and start from scratch? I am open for any ideas at this point, I am so close! >thanks for clearing that up, for some reason make install >did not copy that over to /boot. Weird eh? > i cannot scroll up to see where it started from. You have nothing to wait. Fix your mistakes right now. 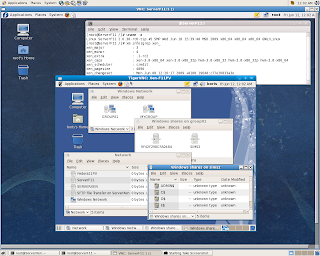 vmlinuz-2.6.29-xen-r4 seems to be broken in meantime. This appears to be a fix for an F11 dom0 + F11 domU. What of another distro as dom0 + f11 domU? I get these nice disk errors on boot up. 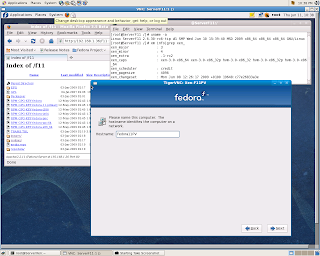 I have F11 DomU at Xen 3.4.1 Dom0 on top of Ubuntu 9.04 Server with xenified 2.6.29.4 and 2.6.30-rc6-tip pvops enabled. 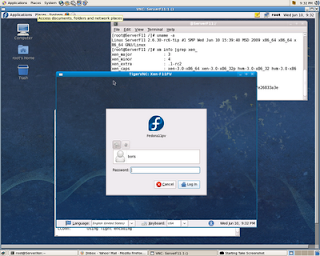 DomU has been installed vis Local Apache Mirror (same way). What is your Xen Dom0 in details ? DRDY ERROR attempting to connect to Dom0 block backend driver, that’s what i see. The best option – please, post your detailed installation procedure for Dom0 and DomU to xen-users mailing list ( subscription is free), then i’ll respond you in public. 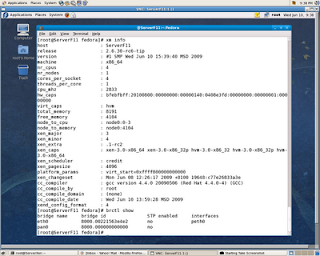 Hello I am trying this, I successfully compiled and installed the Xen 3.4.1 and linux-2.6-xen kernel which works fine . Then why this xenified kernel(linux-2.6.29-xen-r4-aka-suse-xenified-2.6.29-62.1) is required. I am able to compile it and install but how it will help? i am not able to figure out why it is required? “/etc/init.d/xendomains start” were not mentioned. “Install/Tune 2.6.29.4 xen-ified kernel” section. others too – as it may be significant. a [FAILED] status, though, it doesn’t say the cause. xen-3.4.1-(X).fc12.src.rpm. 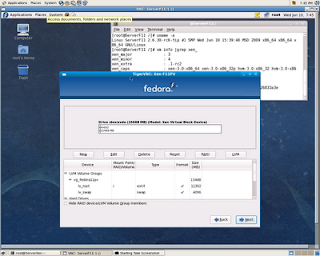 It will provide an option for libvirt stuff working Xen 3.4.1 Hypervisor. 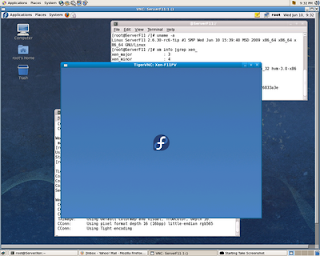 I mentioned 2.6.29.6 (.30.2) xenified (aka Suse) kernels because mentioned kernels include opensource Nvidia drivers, so Xen Hosts boots right away into Gnome or KDE desktop. 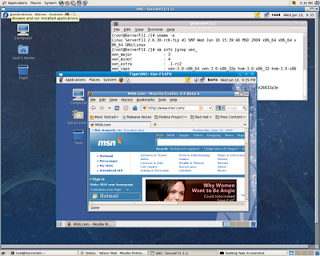 VNC setup and LAN to work remotely are not required in this case. 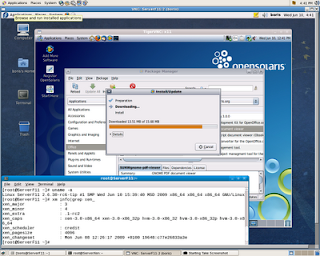 PVOPS kernels ( including the most recent 2.6.31-rc5) does require Xvnc Server setup to utilize remote X-Server for GDM running locally. Regarding your statement above: “I mentioned 2.6.29.6 (.30.2) xenified (aka Suse) kernels”… If I read you correctly, one would opt to boot a SUSE xen-ified kernel for dom0 (not domU) due to the integration of Nvidia drivers (thus avoiding the need to set up VNC). (2) How are you reliably determining what the latest stable (and unstable) SUSE xen-ified kernels are? I went to “http://x17.eu” to browse, but the listing is forbidden. Poking around randomly, I did find a link for 2.6.29.62.1 (because that’s only because I googled that very term – I wouldn’t have known it otherwise). So what site are you using? >(2) How are you reliably determining what the latest >stable (and unstable) SUSE xen-ified kernels are? I >went to “http://x17.eu” to browse, but the listing is >forbidden. Poking around randomly, I did find a link >for 2.6.29.62.1 (because that’s only because I googled >that very term – I wouldn’t have known it otherwise). >So what site are you using? just 2.6.29.6 is good. However, i have some things working with 2.6.30.X patch sets and failing with 2.6.29.6. Would you have any more questions my e-mail is bderzhavets@yahoo.com. then why pnly I/O Virtulization is disabled? like yours. I even cannot work on this issue due to no VT-d support by BIOS.Post it to xen-users@list.xensouce.com. I was hoping to see all the 28 gigs… Is it because of the kernel limitation ? not seem to have the PAE support. Any suggestions ? do u have any experience with Xenoprof on domU? Something is wrong with your xen-bridge.